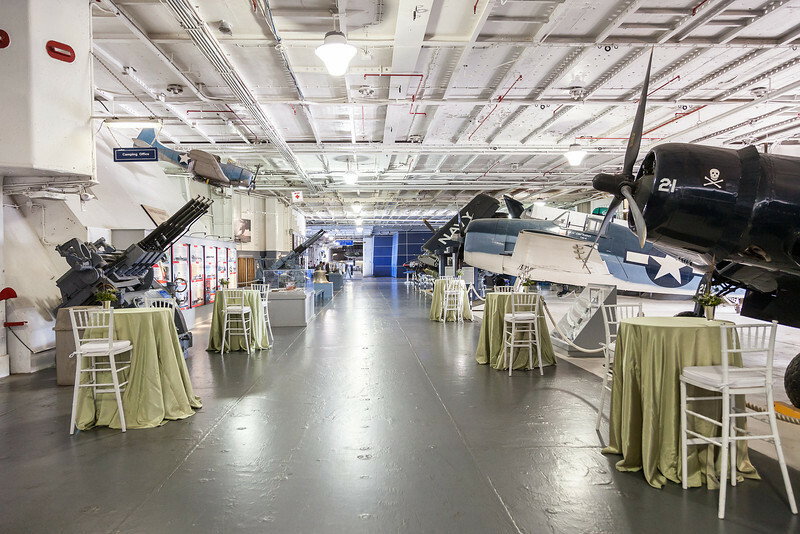 Summertime on the Flight Deck - Our guests wanted to celebrate the flavors of Charleston in the summer with their event on the Yorktown, but wanted guests to make sure to enjoy the ship's history as well. Cocktails were presented for first hour in the Hanger Bays with the Medal of Honor Museum available and entertainment by Charleston's own "Glowette's." Guests then proceeded to the Flight Deck for Bluegrass and an epic menu, breathing in the fresh Charleston Harbor Air and taking in the magnificent views of Charleston Harbor and the Ravenel Bridge. Produced by JMC Charleston - an event production and destination management company in Charleston, South Carolina.